On January 22, 1919, the Act of Union of the Ukrainian People's Republic and the People's Republic of Western Ukraine were proclaimed in Kiev, on the St. Sophia Square. For the first time in history, Ukraine appeared united, erasing the dividing line between the East and the West of the country. The Unification Act had a profound historical determination, based on the centennial dream of the Ukrainian people to have an independent and unified national state. The historical events of the First and Second World War led to the collapse of unifying efforts, but the Unity Act of 1919 left a deep imprint that inspired the independence of Ukraine in 1991. 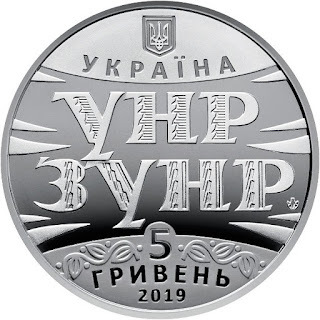 Dedicated to this historic date, the Bank of Ukraine issues on January 17 a coin with a facial of 5 grivnas minted on an alpaca alloy, also known as German silver. On the obverse of the coin you can read a fragment of the Law of Unity. The latent image on the background of the text shows the image of a trident. 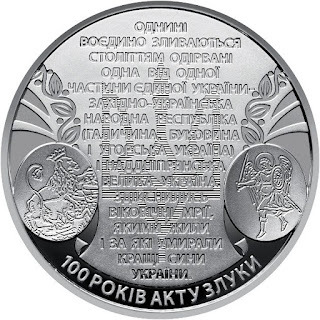 Two medallions are reproduced with the symbols of the territories, left and right: the lion for the western Ukraine (left) and the Archangel Michael for the central Ukraine (right). 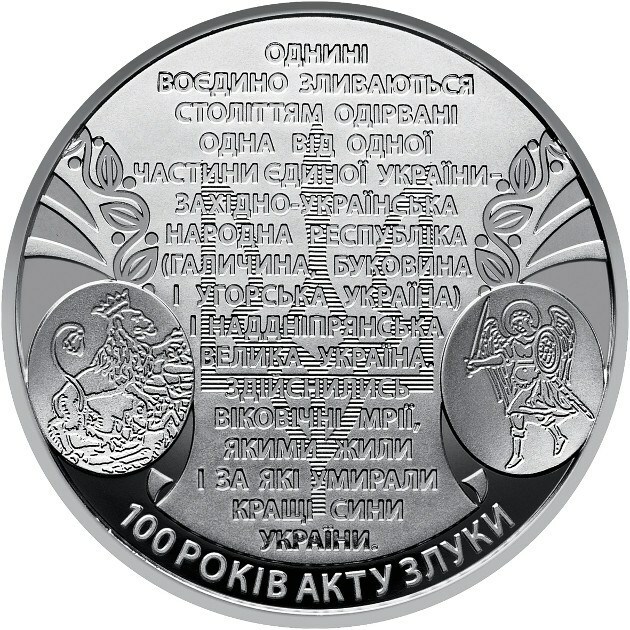 In the lower semicircle there is the inscription "100 YEARS OF THE UNION ACT". 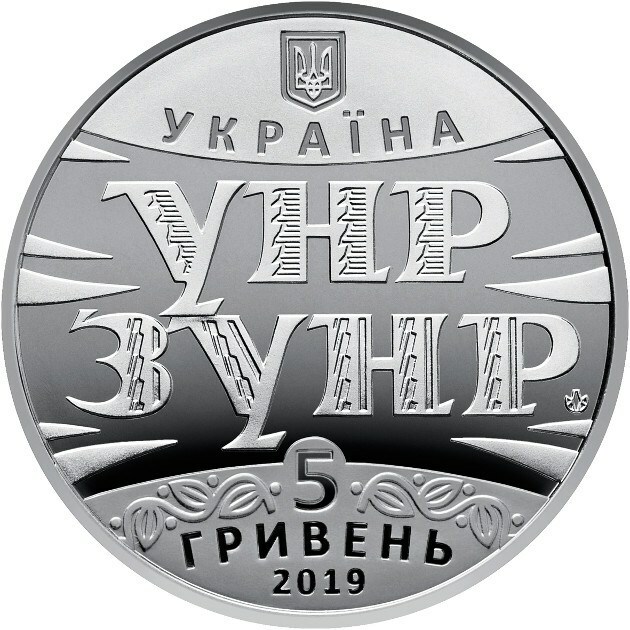 On the obverse, under the emblem of the State of Ukraine, there is the inscription "UKRAINE"; in the center a typographic composition of the abbreviations of the countries UNR (Ukrainian People's Republic) and ZUNR (People's Republic of Western Ukraine) is shown, whose letters are decorated with characteristic ornamental elements; below the face value "5 GRIVNAS", the year of issue of the currency "2019" and the logo of the Mint of the National Bank of Ukraine, which appears in the right area.